From time to time we stumble upon certain pages online that are on point to the struggles our clients have and we are so compelled to share them with out clients. wellandgood.com recently did a post on 5 Tips Every Woman Needs to Know Before Shaving Her Face. We'd like to think that we're pretty creative in conveying info, but this was a great piece to not share. Natural, clinical, regular, organic, etc. - with so many options out there for deodorant, which do you use? We've scoured the Internet and come up with a list - try them out and let us know what your experiences are ... any of the ones that made our list any of your favorites? Made from natural ingredients like shea butter and coconut oil, Native Deodorant was unanimously chosen as the best deodorant that was tested. It was found to be great in terms of preventing odors, even under incredibly stressful conditions (think yoga and soul cycle). In addition, it kept the dry feeling all day and didn’t give that sticky or greasy feeling that some other deodorants give. 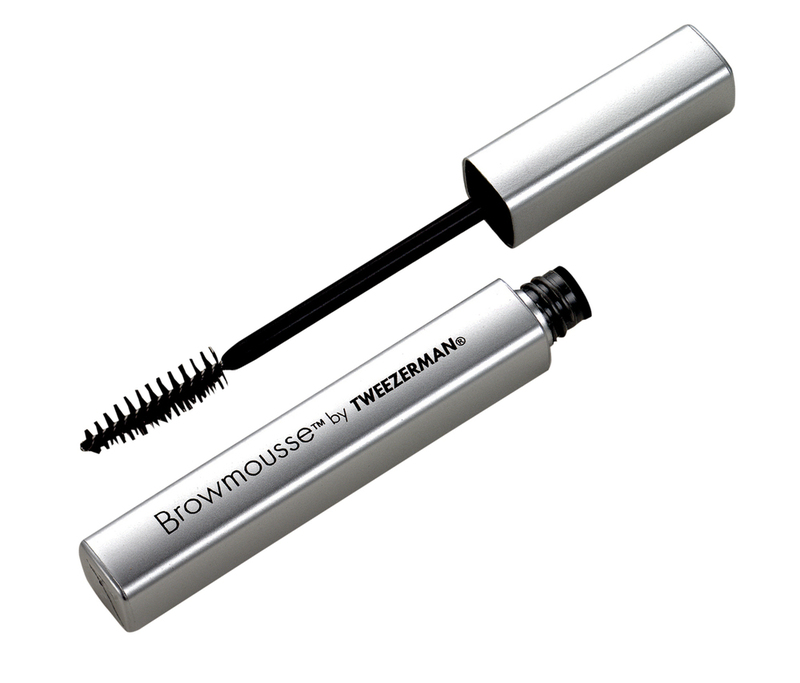 It is completely natural – it doesn’t contain any aluminum or parabens. For those unaware, aluminum in antiperspirants like is linked to breast cancer and Alzheimer's, so it is an ingredient you should try to avoid. The deodorant comes in three scents: Unscented, Eucalyptus & Mint, and Lavender & Rose. Tom Ford was the runner up. Like Native (and others on the list), Ford is made without aluminum or parabens which was important. It doesn't protect against odors the same way Native did, and it was pricier. Native lasted longer and worked better. Tom's Deodorant has been a traditional healthy go-to for years. That said, Tom's of Maine was acquired by Colgate a few years ago. Since then many have questioned the quality and healthiness of the ingrinets. While it goes on well, you may need to reapply more than Native and Tom Ford's. We still love it and that's why it's on our list! Real Purity is a great stick deodorant, and it smells great. It made our #4 spot due to the price, and didn't last as long as the Native brand. Zak's Detox Deodorant lasts all day long and feels great. We had a little bit of difficult to apply the deodorant though. All in all, if you're into the healthier options, here's a few you can try to get you started. You can read more and learn where to buy at the Women's Daily Blog. Clients often ask us what they can do to avoid the unsightly spider veins. Spider veins are formed by the dilation of a small group of blood vessels located close to the surface of the skin. Although they can appear anywhere on the body, spider veins are most commonly found on the face and legs. Besides having a genetic disposition, there's several things one can do to help avoid the look of spider veins on their legs, and believe it or not, posture is one of them. Sitting with your legs crossed - We admit, this is the position of choice for many of us when we sit, especially women. Crossing your legs cuts off the blood supply to the lower extremities. Although the etiquette experts will say otherwise, avoid crossing your legs when possible. Fun Fact: Many of us cross our legs out of habit, and we subconsciously will always opt to cross the same leg over the other. Similar to whether you’re a righty or a lefty, some research suggests that our leg of choice for crossing might be related to which side of our brain we engage most often. Sitting or standing for a long time may force your veins to work harder to pump blood to your heart. Getting up and moving around even for a short while, like to the water cooler, or bathroom breaks, shakes out your muscles and releases built up tension in your body. Staying active keeps your fluids moving around and lessens the amount of lactic acid build up in your muscles and spine, helping you keep the pain away. If your daily lifestyle doesn't allow you to move around, try wearing compression stalkings during normal daily activities and elevating your legs at night, and exercise regularly to improve leg strength, vein strength, and circulation. Obesity. Being overweight or obese can put extra pressure on your veins. This can lead to spider or varicose veins. For those of our clients who have sat through a consultation at Simply Skin Las Vegas, the information can be overwhelming... and that's intentional. The best client is an informed client. Often times, our clients and guests come in with pre-conceived notions of what Laser Hair Removal is, or the results they should expect. We're here to set the record straight! Laser Treatments - hair removal or otherwise - are usually not one and done. They are a series and a commitment. The "journey" can take some time, depending on the area being treated. You will often hear our Lead Laser Technician say, "I'm here to set the bar so low that no matter what I do, you won't be disappointed." Our philosophy at Simply Skin Las Vegas isn't to make a sale. It is to inform you of the process. To be honest about what we can and cannot accomplish depending on your health, medical condition, skin type, etc. We'd like to share a video that one of our clients shared with us that reminded her of her consultation at Simply Skin Las Vegas. We hope you'll find this information as useful as we do - useful enough to go over with every single client prior to ever touching you with a laser. Known to work wonders, essential oils contain the true essence of the plant from which they were derived. Contrary to what you'd think, they are not oily to touch, but rather a pure liquid extracted from the plant. The oils are distilled by using either water or steam and are highly concentrated. Because of this, essential oils are packaged in small bottles as only a few drops are needed at a time. The uses vary from aromatherapy to household cleaning to insect repellent to natural remedies for physical discomfort and well being. Some are edible, others are topical, but whether you try a an oil or a blend, each little bottle is packed with a punch. At Simply Skin Las Vegas, we carry the dōTERRA® line of essential oils and healthy living. dōTERRA® is a Latin derivative meaning “Gift of the Earth.” The first offering of dōTERRA essential oils was introduced for sale on April 25, 2008, to the acclaim of essential oil experts and product enthusiasts who immediately recognized the superior quality of dōTERRA therapeutic-grade essential oils. In addition to the ongoing development of new essential oils and proprietary essential oil blends, dōTERRA product offerings include nutritional (vitamins), spa (skincare), and healthy living products (meal replacement bars, and other food products) based on essential oil technologies and a comprehensive wellness philosophy. Pop into our salon to try some of our samples and browse through our catalog. 1. Is laser hair removal permanent? It is... for the follicles that are actively growing, however, not all of the follicles on our body or in a given area are actively producing hair at the same time. For those that aren't producing hair actively that produce hair in the future... for those... you will need maintenance. 2. It smooths your skin! The laser that is used stimulates collagen production, ‘plumping out’ and smoothing your skin. 3. Plucking/Waxing/Threading/Epilators/Depilatory Creams before treatments If you do anything to separate the hair from the root two to four weeks before laser hair removal treatment, you run the risk that the hair won’t have yet entered its re-growth phase and there will be nothing for the laser to target. The target is the hair, attached to the root, beneath the surface of the skin - so shave the day before you come in. 4. Dark skin and safe treatment Historically, when there was only one laser wavelength to treat with, laser hair removal was for lighter/fair skinned clients with dark hair because with that wavelength (755 nm), the laser wouldn't see the difference between the pigment of the hair and the pigment of the skin. With the advancement of technology and additional wavelengths (1064 nm) put into practice, we can treat both light and dark skinned clients. We use only the Candela GentleMax Pro - one box, two lasers, both wavelengths - voted by Women's Health Magazine as the #1 laser on the market. Demand the Pro! 5. How long does it take? It’s pretty quick! Facial areas, brazilians, and your underarms can be completed in 10-15 minutes. Large areas like your legs or back might take half an hour. We carry the specialty handpiece with the bigger spot sizes to cover larger areas thoroughly and efficiently. 6. Not all lasers are painful Some people are turned off by reports of intense pain during laser hair removal. In fact, our GentleMax Pro has a double cooling system feature which sprays cryogen and cools down the area being lased and significantly reduces pain levels. Come in and we'll do a test spot on you so you can see exactly what you're in for. 7. What if I can't take the pain? During every treatment we will monitor your pain tolerance and sensitivity. We treat everyone according to a range and will start you at the center of your range, leaving us room to go up and down depending on comfort and sensitivity. If we feel that the settings are so low that we may be compromising the efficacy of your treatment, we have a numbing spray that you can purchase to provide an extra level of comfort. 8. All parts of the body can be treated If you have hair growing there, it can be safely removed by laser (with the exception of the area around the orbital bone). Proper lasers (NOT Intense Pulsed Light machines) can work on even the most delicate skin. 9. What about in-grown hair afterwards During laser hair removal your hair is constantly purging and pushing out of your skin. With patience and over time, as the texture of your hair changes, your ingrown hairs will push out and be a thing of the past! 10. Sun Exposure/Sun Beds/Spray Tans You shouldn’t expose to the sun or sunbed the area(s) to be treated two weeks before/two weeks after your laser hair removal session. Spray tans and bronzers need to be avoided seven days before a treatment and you need to exfoliate REALLY well the night before your laser hair removal session. If there is any tanning product left on your skin, we will NOT be able to treat you. 11. You should always have a consultation first At Simply Skin Las Vegas you will undergo a FREE consultation session that allows us to review your complete medical history, get an understanding of your goals for any treatment, examine your skin, and give you a list of accurate expectations. No client will be treated without a consultation. It is our commitment to provide you the best treatment possible. 12. How often should I get treated? There seems to be differing opinions on how often one should be treated. At Simply Skin Las Vegas, we are not going to give you the cookie cutter, "See you in 4-6 weeks" answer. Different parts of the body have different hair turnover cycles. We are after hair turnover, not how quickly your hair grows. The face should be treated every 4 weeks. Legs should be treated every 8 weeks. The remainder of your body should be treated every 6. As your hair gets sparser and slower to grow, the sessions will be pushed out even more. Have you ever gotten your eyebrows waxed vs your brazilian? You will need another eyebrow wax in 2-3 weeks when your brazilian won't be ready yet. Your legs turn over hair even slower. Know your hair cycles - don't get undertreated and set your results back. 13. There are usually specials available! We do not require contracts, or packages – but if you keep an eye out you will find specials and packages that you may be interested in. You can follow us on social media for the most up to date specials, facts, and tips. Click here for our Instagram page, here for our Facebook, and here for our Twitter. Is it safe? How friendly are the ingredients? What is the price point? Am I going to break the bank trying to take care of myself? If you've ever been to our boutique in our salon, you know that we do not carry a bunch of competing lines. Like our technology, all of our products are what we believe to be the best on the market, and our favorite skin care line is Whish Beauty. Whish Beauty is an all natural body treatment brand that focuses on the development of skincare that is beautiful, fun, but most importantly, super smart. All the products are naturally sourced and efficacy based (a little goes a long way) without the use of parabens, sulfates or petrochemicals. Each product is highly concentrated and cram packed with the most hydrating ingredients – Since there are no additives, a little but of each product goes a very long way. Welcome to a smart and gentle new world!Contrary to popular belief, it is NOT only for women. For a limited time, we have a gift with purchase to offer - buy any full size Whish Beauty product and get travel size Body Butter, Shave Cream, and Bath and Body Gel for Free! Now you can have Whish on the go! To learn how Whish Beauty came to be... click here, and swing by our salon to try our many testers in different scents. We are now #1 on Yelp's top 10 Las Vegas Laser Hair Removal. We appreciate our clients tremendously for recognizing our efforts when it comes to honesty (yes, we will turn you away if you're not the right candidate), sanitation (we use hospital-grade sanitation techniques when it comes to our sanitation practices), and of course - customer service! We thank each and every one of you for taking the time to share your experiences. If you haven't already, you can check out our help page here. In January we participated in Bridal Spectacular's 25th Anniversary Bridal show at Cashman Center. Hundreds of brides, grooms, their friends, and family came through our booth to spin the wheel for a chance to win free laser hair removal treatments, and one lucky winner won a $500 gift card that we raffled. It was a fun few days filled with great energy, and great friendships. Thanks so everyone that stopped by! What a great event! What a Happy Valentine's Day it was, and what a busy weekend for the lovers in town! For those of you who took advantage of our $100 gift cards for $85 - we can't wait for you to come back and redeem them! This week's #transformationtuesday blog post features Tweezerman! Did you know that the only place you can't laser on your body is your eyes! That is why we recommend having a Tweezerman tweezer on hand for those unwanted eyebrows that just get in the way! 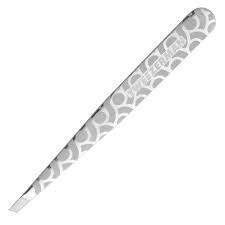 Even if you don't do your own eyebrows, having a tweezer on hand for that non-compliant eyebrow hair is a great idea! Procurl Lash Curlers - the best lash curlers on the market - trust us, we've tried nearly all of them! 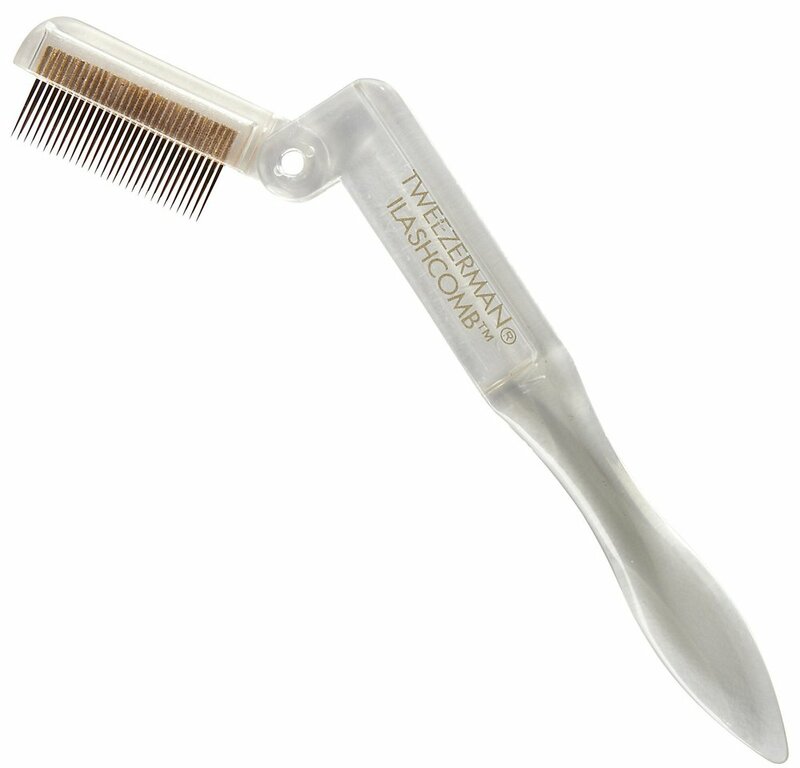 Folding eyelash combs - great for those that have lash extensions. To avoid those chain linked eyelash looks, brush your lashes daily! 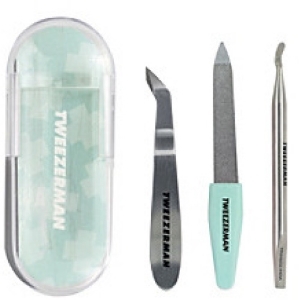 Stop in today to see our wide selection of Tweezerman favorites - ideal for yourself or as stocking stuffers! It's getting colder, Las Vegas! This week's #transformationtuesday blog post features our Helios reusable heat packs. What is it made of? The pad contains water, food grade sodium acetate trihydrate - the same ingredient found in salt and vinegar potato chips - and a stainless steel disc. The outer casing is medically approved PVC (plastic). When the pad is in its liquid state, it is a "super saturated" solution. How does it work? By snapping the metal disc, the liquid pad creates a seed crystal that starts a chain reaction causing the pad to crystalize. Once activated, the heat will be activated. Keep the pad moving and the heat will keep coming! This week's #TransformationTuesday post features the EltaMD Skincare line. Understanding skin care is essential to the maintenance of healthy skin, and for that, we love and trust EltaMD for many reasons, some of which are highlighted in this week's blog post! What is it? : EltaMD is a physician-only dispensed skin care and sunscreen line. We use it personally, and love it so much that we share it with our clients post-treatment. EltaMD sunscreens help prevent sunburn and decrease the rest of skin cancer and early skin aging caused by the sun. The sunscreens are formulated with transparent zinc oxide and are noncomedogenic, sensitivity-free, fragrance-free, and paraben-free. Their skincare product line includes deep yet gentle cleansers, intense moisturizers, and innovative formulas that repair the visible signs of aging. Ingredients: The ingredients are all very gentle and can be used by those with the most sensitive skin. Hyaluronic Acid is a main ingredient of EltaMD products that we consider liquid gold. According to the International Journal of Toxicology, the magic of this ingrideitn lies in its ability to retain moisture; it's considered to have a greater capacity to hold moisture than any other natural or synthetic polymer. In fact, one gram of hyaluronic acid is able to hold up to six liters of water. Love them or hate them... with the entourage they have, and everything that they have at their disposal, the Kardashians have tried nearly every beauty trick in the book. They are experts in their own right, and I love the honesty on their experiences on laser hair removal. One thing we try to communicate to our clients is that Laser Hair Removal isn't one and done. Hair growth is hormonal, and throughout different stages in your life, your hormones (and hair growth) may change. What we eat, supplements and medications we take, and life changes (menopause, pregnancy, nursing) will have an effect hair growth. Check out the clip from Keeping up with the Kardashians to hear more of their discussion. There was no laser hair removal plug in this episode. For more Find us on Google+, or follow us on our YouTube channel to stay up to date on Simply Skin Las Vegas, your premier laser hair removal and skin treatment salon for men & women. We will be bringing you featured products, tips, offers, and so much more! Stay tuned. Simply Skin Las Vegas is a full service Laser Salon in Las Vegas specializing in Laser Hair Removal, Laser Fungus Removal, Laser Facials, the removal of Vascular Lesions, and Sublative Skin treatments for wrinkles, acne scar treatments, stretch marks, and the promotion of collagen regrowth. This week's #TransformationTuesday product that we are highlighting is the Spongellé Infused Body Buffers. They are an amazing way to care for your skin and are created for the most discerning customers who want the finest bath & shower experience. What is it? A body buffer infused with exotic extracts, rich moisturizers and gentle cleansers to keep skin youthful & glowing use after use. How does it work? Each buffer (for men and women) has a unique infusion of body wash that you can use over and over when you wash your body. Wash and buff at the same time - genius! Each week, we will announce a special gift that we will be giving out for free. What we need YOU to do is share/re-post the weekly photo, tag us and the person you think is deserving of winning, why you're thankful for them, and don't forget #thankfulthursdays. It can be friends, family, co-workers - men or women - and tell us why you're thankful for that person. It's a great way for you to tell your loved ones how much they mean to you, and for them to get a very special treat. All of the names - both the people that have been thanked, AND those thanking them ... (YOU!) - will be thrown into a final drawing where one lucky winner will be announced on Thanksgiving Day and will receive a package of laser hair removal or eMatrix treatments. Not all gifts will be in the form of services, so if any of our winners are not locals, we will be happy to ship them products from our boutique in lieu of services/treatments, so happy posting! This week's #TransformationTuesday product that we are highlighting is the Fillips Lip Enhancers, and Simply Skin Las Vegas is an official retailer. Don't just take our word for it... check out what Cosmopolitan Magazine's beauty editor, Carly Cardellino had to say about it in her "Beauty or Bullsh*t" series! Start slow. Instructional videos can be found on their site. It is temporary and lasts a few hours. Take a before/after picture so you can see how it really truly works!